Sometimes these posts really write themselves. Today's is no exception. 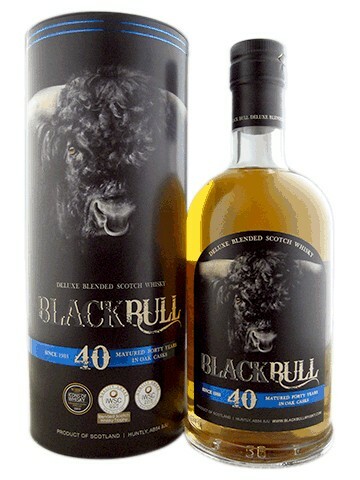 A few days ago, we got a package from the folks at Duncan Taylor, with a little sample of their newly released Blackbull Batch 2- a 40yo blend, put together with Invergordon, Tamdhu, Bunnahabhain and Glenlivet. 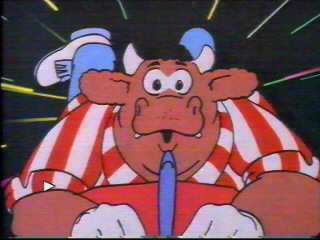 But rather than us review it, we wanted to turn it over to someone with an obvious mastery of bulls. No, not the famous Matador Israel Lancho but someone a little closer to home. 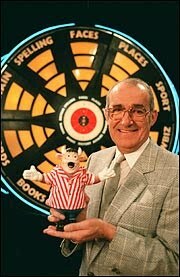 And on Bully's Prize Board tonight....Errrrrrrrrn One! Nose: Treble 20 to start, with a fantastic mix of aromatic wax, cedar wood, floral honey and fizzy, fruity Refresher sweets. Perfectly balanced. Masses of maturity but not an ounce of dryness or over-oaking. As Jim's sidekick Tony Green would often say as another contestant drew up to the Oche for their first throw - 'take your time, no pressure, at all'. That's how you feel after a couple of sips. Palate: Another big fat treble 20 again. And by fat, I mean 'fat'. The mouthfeel on this whisky is so oily, so palate coating, you'd swear it was washed with syrup. When you can find your tongue again, you're in for a huge treat. Java coffee, ripe bananas, condensed milk, wonderfully sweetened malted milk biscuits, aromatic virginia tobacco notes and cherry drops. unctuous, but very precise indeed. Finish: Remember... in darts, you have to finish on a double... And there we have it!! Double Top! The sweet tobacco and malt combine and linger on the palate for a match winning finish. Overall: If this were a hand of darts, it would have been thrown by the master himself, Sir Phil 'The Power' Taylor. So simple, yet so so precise and...perfect.